Indoor coverage in various areas of the city — Generally, the further you are from their closest cellsite, indoor coverage deteriorates. I’ve experienced many dropouts talking to people on Sprint PCS phones throughout the area. 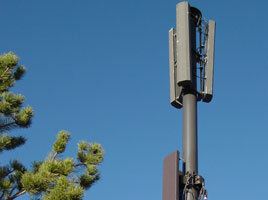 Even though Sprint has quite a few cellsites spread throughout the area they usually have their antennas lowest on the towers, which gives them lower range per cellsite than other carriers. Inside Renown Medical Center on Mill Street. Your “lowest on the towers” statement is misleading. It can also mean higher data speeds and increased capacity as well as less interference all of which result in better battery life and better voice quality. I have terrible service for my spring internet card inside my home in the D’Andrea development located on the corner of S.D’Andrea and Vista Bl;vd in Sparks. My roomate also loses calls on his RenoPD issued Nextel cell phone in our house. Sprint is dead in the Caughlin Ranch area (McCarran/Caughlin Parkway). Do any carriers work better in this area? Upper Caughlin (by the Scolari’s), or lower Caughlin ? Sprint drops the signal on Hwy. 50 just East of the Lyon county / Carson City line. The signal strength recovers about 1/2 east along Hwy. 50 or, heading westbound, right as you top the hill going down into Carson City. Jeff, Your deadcellzones map isn’t very good. 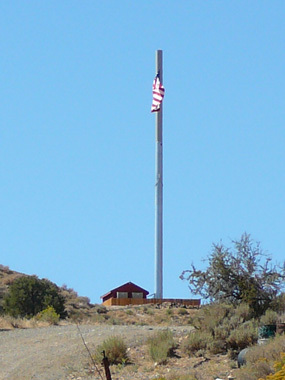 Sprint has tower on Hyatt, and was the first carrier to cover “NV line to Applegate”. The other comments seem to be more valid. This is the exact kind of feedback we want from the carriers or customers on the map. Tell us when coverage has improved. We are obviously helping raise the exposure of dead zones in problem areas and this feedback loop is exactly what we want. Anything else about our data (not the map) that seems inaccurate? We will update the location on the map and delete the point you highlighted at the Hyatt. There is a Sprint cell site nearby. Perhaps it is getting overloaded with new iPhone users? We just found out about the areas that Sprint dropped in Fernley, Nevada east to Utah. Unfortunately, when I couldn’t get hubby on the phone for three days (never happens, he calls daily), I called out the Lyon County Sheriff to help find him. Turns out he was not able to use his phone in the remote wiles of Nevada and had to find a payphone. Thanks a lot Sprint, what a loser way to run a company! I recently moved to Neil Road across from Miguel Ribera Park. In the area, indoors and out, I have at most 1 bar on my HTC EVO and ALL calls get dropped. I constantly get “data errors” and can’t play youtube videos without excessive buffering. When notified, Sprint, said it was a “problem with a cell tower which would be fixed in a couple of days.” It wasn’t and still hasn’t been fixed! Next week I’ll try to get Sprint to release me from my contract without penalty. I’ll post and let you know how it goes. I frequently drive in two areas where service is poor and calls either get dropped, or I try to make a call and can’t. One is on McCarran Blvd near Lakeside, and the other is on Skyline just above Moana Lane. I use my phone quite often when driving and this is really annoying, as I am often in that neighborhood, either visiting friends or shopping. This issue has been going on for as long as I’ve been a Sprint customer, about 3 years. Virginia City Highlands. Dead spot for voice calls, at 6000 ft elevation. A voice call connects only about every two or three weeks. Intermittent messaging, probably roaming, if I go outside. No internet whatsoever.